What is a Speedy Trial? Published on: December 12, 2018 | J. Bradley Smith, Esq. If you watch any TV crime drama, you will likely hear the phrase “right to a speedy trial.” This phrase is thrown about in many television scenes, but most people do not know what that means in real life. For most, a speedy trial means that criminal charges and prosecution must be done as quick as possible. Determining what the court finds to be “quick,” however, varies on many different factors. Published on: March 8, 2017 | J. Bradley Smith, Esq. Lots of juicy television police procedurals spend time showing what goes on during jury deliberations. The deliberations often make for good television because of the interest people have in what goes on behind the scenes, a space usually out of view to most people. It’s fun to imagine what real jurors have to say to one another, something that in the real world, criminal defendants don’t have the luxury of knowing. The reason for the interest is that in almost all cases, a jury’s deliberations are meant to be secret. “You Have the Right to an Attorney”—Unless Prosecutors Insist You’re Unconscious? Published on: October 25, 2016 | J. Bradley Smith, Esq. The man suspected of planting the bombs on the Jersey Shore and in Manhattan last month is being represented by attorneys for the American Civil Liberties Union (ACLU) after being denied access to a federal public defender. 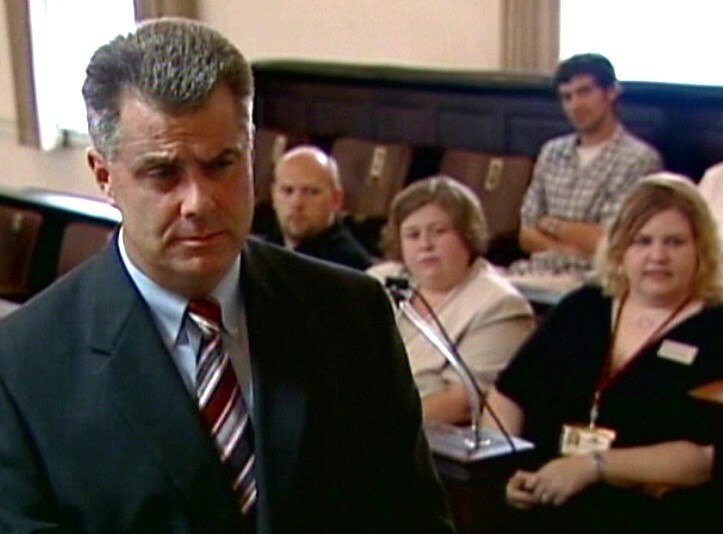 Does a Juror Have the Right to Acquit No Matter the Evidence? Published on: March 29, 2016 | J. Bradley Smith, Esq. Published on: February 24, 2016 | J. Bradley Smith, Esq. An exciting new ruling came out of the federal Fourth Circuit Court of Appeals this February. This is the federal court that has jurisdiction over North Carolina, and it held that a state court was objectively unreasonable in not finding that a defendant’s trial attorney provided Ineffective Assistance of Counsel when the attorney failed to move to suppress the defendant’s confession. How Serious Is The Sixth Amendment? Published on: October 6, 2015 | Matthew R. Arnold, Esq. Today marks the start of the Supreme Court’s new term. Last year was a remarkable year, with important decisions touching on issues such as healthcare, gay marriage and privacy rights. This year appears to be no less interesting; with the court announcing that it would hear a range of controversial cases including ones on abortion rights and affirmative action. Amidst the more attention-getting cases, there are others of equal importance, including a very interesting one in the criminal realm about just how seriously the Sixth Amendment ought to be taken. Published on: August 26, 2014 | J. Bradley Smith, Esq. It is no exaggeration to posit that millions of men and women have fought and died for the freedoms we enjoy as citizens of the United States of America. At the very bedrock of our Constitutional system is the right of criminal defendants to trial by a jury of one’s peers. The Sixth Amendment to the United States Constitution provides that “In all criminal prosecutions, the accused shall enjoy the right to a speedy and public trial, by an impartial jury of the State and district wherein the crime shall have been committed…” It is the job of judges and courts to determine what laws mean—including the text of the Constitution. With the advent and expansion of modern criminal codes, states have blurred the lines between crimes that may result in an active prison sentence. Many states—North Carolina among them—have different classes of felonies and misdemeanors, and some of the more serious misdemeanor offenses may subject a criminal defendant to an active prison sentence. That means nowadays some misdemeanor criminal defendants enjoy the right to trial by jury.